With its mountain beauty and deep, clear waters, Lake Tahoe is one of the most popular vacation spots in the California/Nevada area. Approximately 15 million vacationers a year visit the Lake Tahoe Basin for both summer and winter sports. The popularity of Lake Tahoe has resulted in increased traffic, infrastructure, crowds and urban sprawl in this environmentally-sensitive area. The North Tahoe Public Utilities District wanted to avoid the costly construction and lengthy permit cycle required to build a new filtration system. 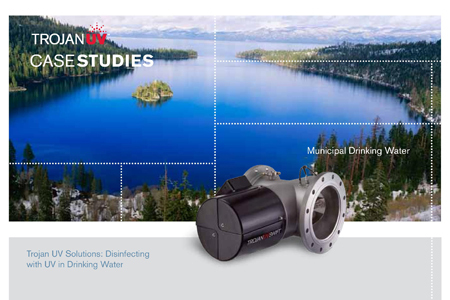 North Tahoe required a simple, costeffective disinfection solution that would meet the requirements of the Surface Water Treatment Rule and pass strict California Department of Health Services approvals. North Tahoe also required a solution that would fit into their existing infrastructure in a way that maximized the use of expensive land and met environmental permitting requirements.